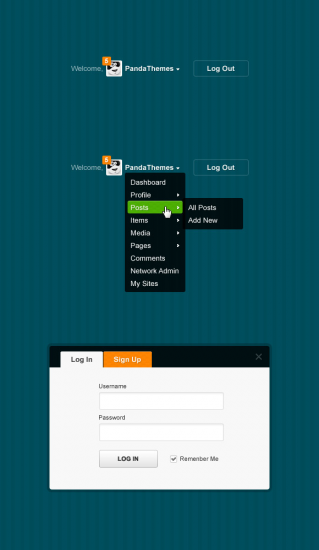 The set includes two very nice web elements: Menu for logged in users and Log in box. It is suits for community website, social network, for admin panel, etc. You can modify or can change colors according to your project theme. You are free to use this file for both personal and commercial purposes.